The menu was long, but looked pretty great. 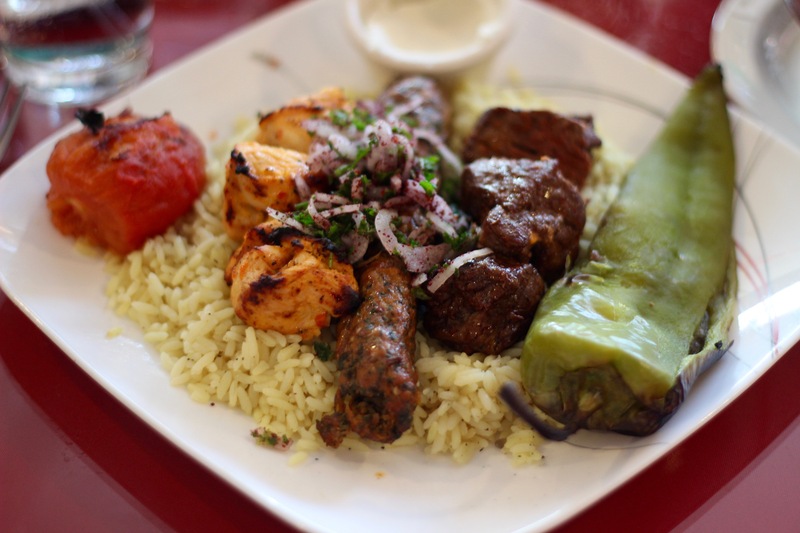 It wasn’t hard to settle on the House Combination Platter, which included chicken kebab, beef kebab and lula (ground beef) kebab, as well as rice, a pepper, a tomato and tabbuleh. I swapped out the tabbuleh for hummus and let the tomato and pepper remain because I knew one of my eating companions would eat them. The hummus came out first as a sort of appetizer and was served with a bread that was more like lavash than pita. 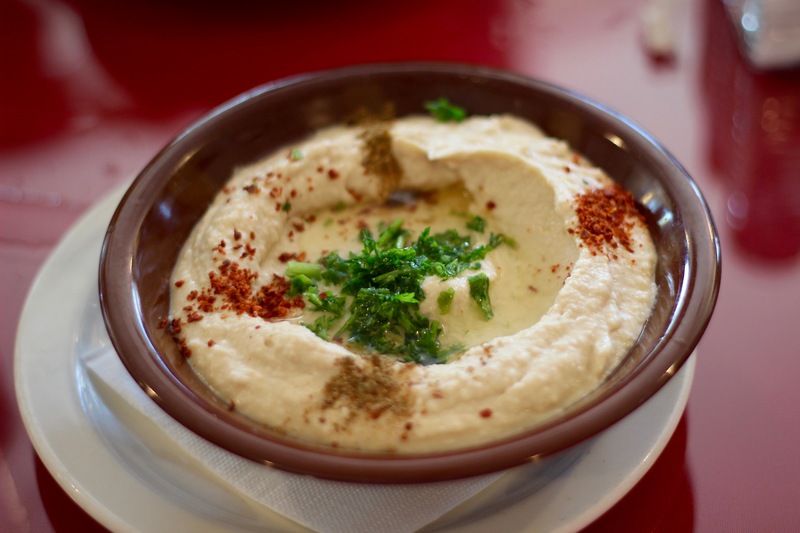 It was, without question, some of the best hummus I have ever had. It was so perfectly creamy and had a kick to it that was neither spicy or garlicky, but completely amazing. As for the combination platter, the chicken and beef kebabs were pretty tasty, being packed with Middle Eastern spices and cooked just long enough to be juicy as well. Plus, they only look small in the picture because the pepper was massive. As for the lula, it was kind of disappointing because there just wasn’t much flavor to it. Even the garlic sauce that came with the meal seemed wasted on the lula. Regardless, this was a great way to introduce myself to both Sierra Madre and Corfu. I would go back for the hummus in a second, and just have to be pickier about kebabs in the future.